Described as one of the greatest all-round athletes of the Victorian era, Teddy Wynyard lived a remarkable and action-filled life which encompassed far more than just the sports field. His path crossed with those of Robert Baden-Powell, Arthur Conan Doyle and Winston Churchill, while he shared a wicket with WG Grace, Jack Hobbs and Prince Ranjitsinhji – with whom he had a memorable row over a bunch of grapes. Aside from being a star of Hampshire cricket at the turn of the 20th century, Teddy was an FA Cup winner and international tobogganing champion. He represented England at home, toured overseas as captain of MCC in New Zealand and played cricket in countries as diverse as South Africa, West Indies, North America and Egypt. Major Wynyard’s military career saw him serve in India and Burma where he won the DSO, while his Great War service earned him an OBE. He was also awarded a Royal Humane Society medal for leaping into a frozen lake in an attempt to save a life in Switzerland. 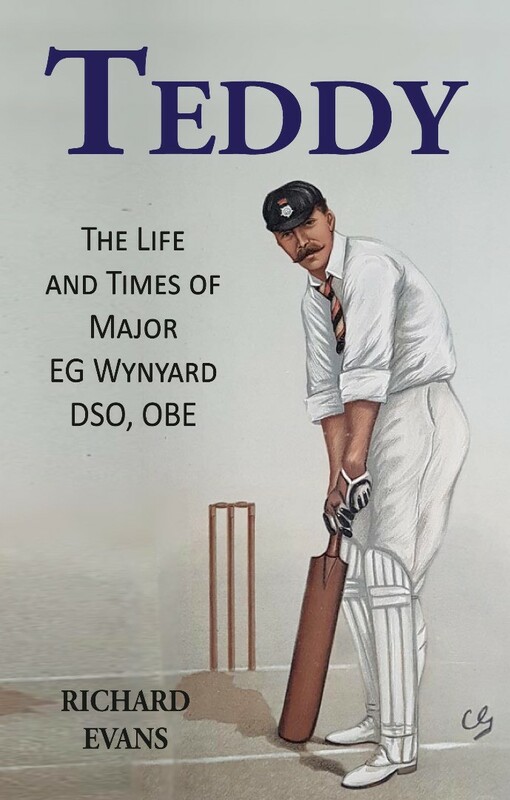 A natural sportsman, one of five men to play Test cricket and win the FA Cup, Teddy’s contribution to cricket’s golden age and the birth of football is told in this comprehensive and colourful biography, the product of forty years of research by Richard Evans. Richard Evans was educated at Queen Mary College, University of London where he studied law and was a City of London solicitor from 1976 until his retirement in 2014. He has had a lifelong interest in sporting history, linked to the collection of an extensive personal library. His love of cricket began at a very early age, facing bowling from his grandfather in the garden and his father on the beach. He was a very dour opening batsman, certainly not cast from the Wynyard mould. He is a member of both MCC and Middlesex, an Arsenal season ticket holder and plays golf at South Herts GC. He lives in Kenton, Middlesex and has been married to Elisabetta for over forty years. They have three children; Marco, Francesca and Alessandra, and twin grandsons, Edoardo and Daniele.